Mitsui O.S.K. 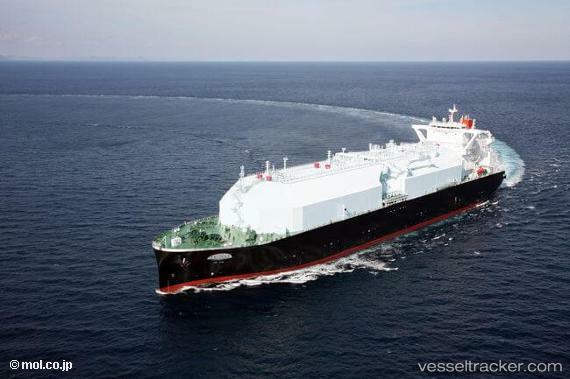 Lines, Ltd. (MOL) announced that on October 25, a naming ceremony for a newbuilding LNG carrier for Osaka Gas Co., Ltd., was held at the Nagasaki Shipyard of Mitsubishi Heavy Industries, Ltd. (MHI). The vessel was ordered by MOL’s wholly-owned subsidiary MOG-X LNG Shipholding S.A. The vessel was named the LNG Juno by Osaka Gas President Honjo, and the rope was cut by his wife.